UPDATED JUNE 29 – Start the Indpendence Day weekend off right with Stereo Off. 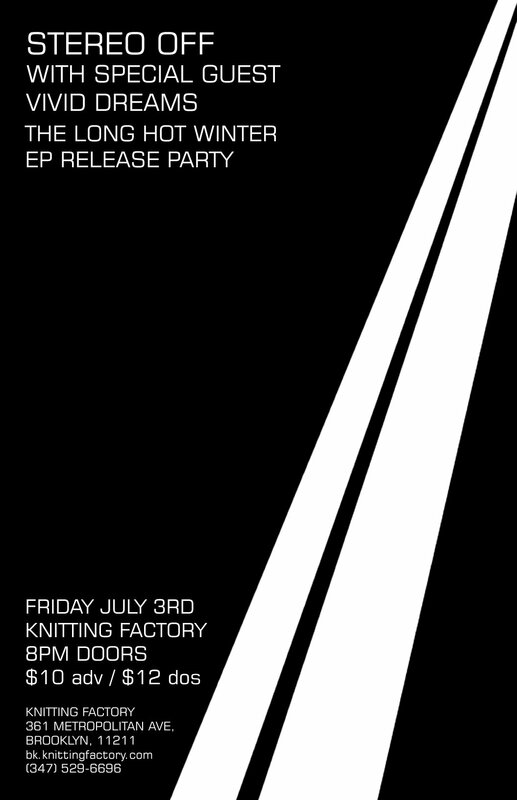 Friday July 3rd at Knitting Factory where we will be launching our 2nd EP, “The Long Hot Winter”. Show is with Special Guest Vivid Dreams. It all kicks off at 8pm…..
Or $10 at the door. 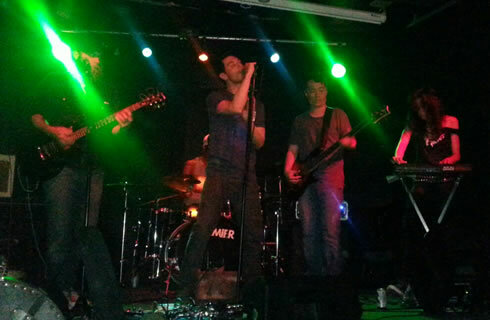 Watch us rock some new songs, shuffle band roles about and other crazy stuff. Whoever wins at Ping Pong gets to be our bassist. 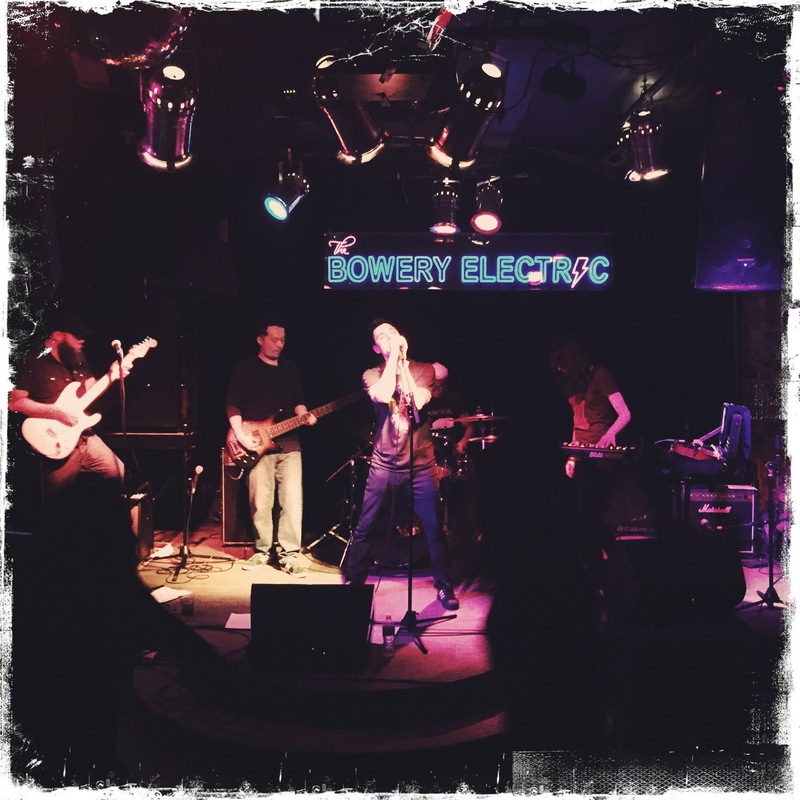 Thanks for those coming out on a cold monday night, and thanks to Bowery Electric for having us. Cheers to Justin for the photos. Setlist: Redesign, Supercooler, Photographs, Effectual, Mi6, The Thrill, Hotel Mirror, Things We Do, Automated, Bullet Time, Bad Friday. 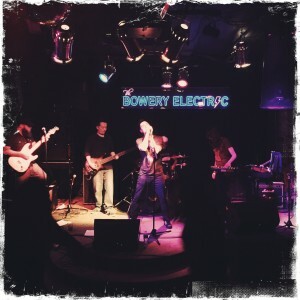 We’re at the Bowery Elecrtic on Dec 8th (Monday). Doors 730, we’re on at 9. Start your week of Xmas parties right. 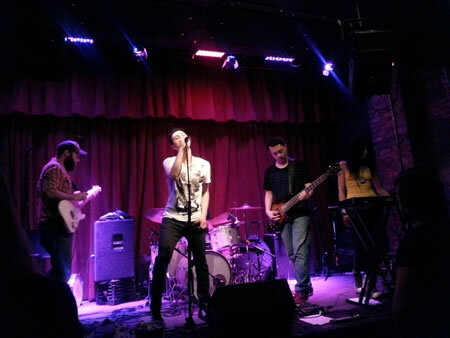 Thanks to CMJ for having us, cheers to EIPR for getting us on that lineup, thanks to Speak into my good eye (good to meet you) for the mention and the video clip on http://speakimge.com/cmj-wrap-up-salt-cathedral-jack-and-eliza-novelty-daughter-tons-more-closed-out-cmj-2014/ and thanks to those that made it to the daytime show. Back to nightshifts now, we promise. 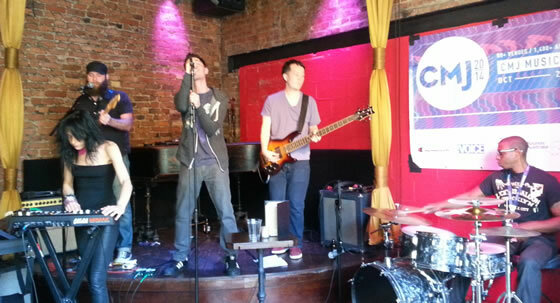 Hey everyone, hope to see you all on Saturday for CMJ Music Marathon. We are on at 2pm and it is FREE!!!! Find out more at https://www.facebook.com/events/697333700355068/. Thanks to EIPR for hosting this! Had a great time at Spike Hill last night. Great turn out, thanks to everyone who came out and to Kenya & Newborn for doing the show with us. Set list was: Supercooler / Redesign / Photographs / Effectual / MI6 / Happy Birthday to Sebastian / The Thrill / Game of Stones / Free Friday / Automated / Bullet Time / The Things We Do. 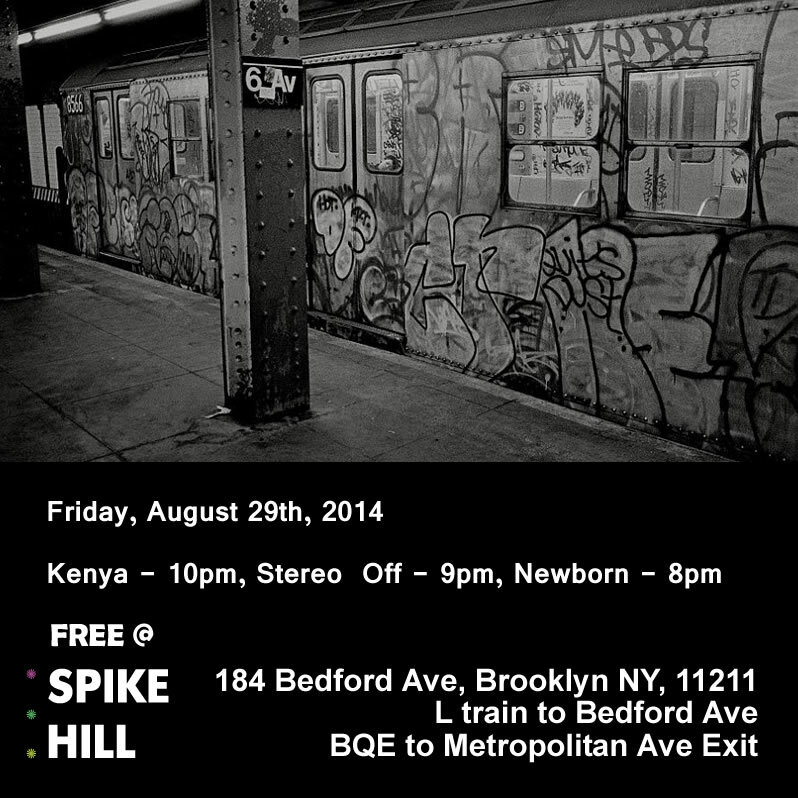 Stereo Off (9pm) with Kenya (10pm) and Newborn (8pm). Also got on the hotlist for this weekend courtesy of newspaper AM NY. This and more surprises to come soon. We also have received some great coverage recently both about the band and the video, which we’ll update soon on the site. 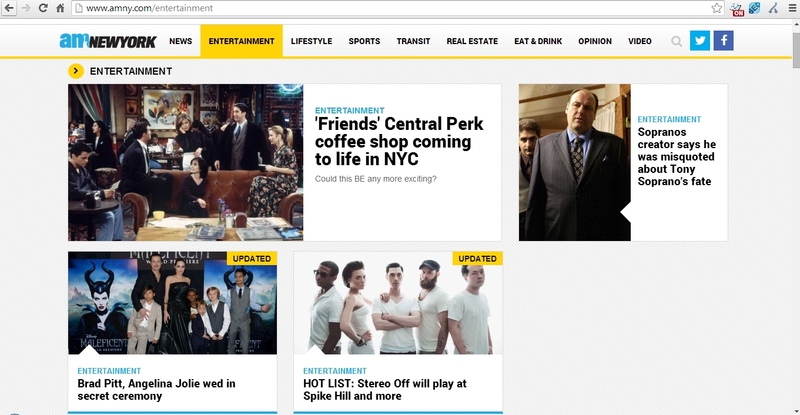 In fact a bit of site “redesign” is on its way soon too. See you in a few weeks as we get a couple of other dates fully confirmed… and get back to updating this site a bit more.